The 32nd edition of iii’s No Patent Pending series presents a program of performances focusing on sound, vision, space and movement. 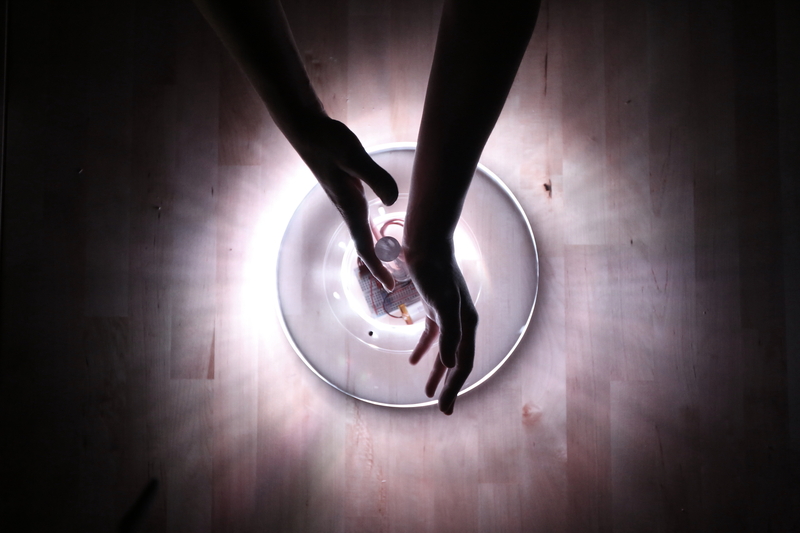 The playful and compositional potential of both newly designed instruments and repurposed devices is explored within idiosyncratic rituals immersing the audience in transient sensory forms. 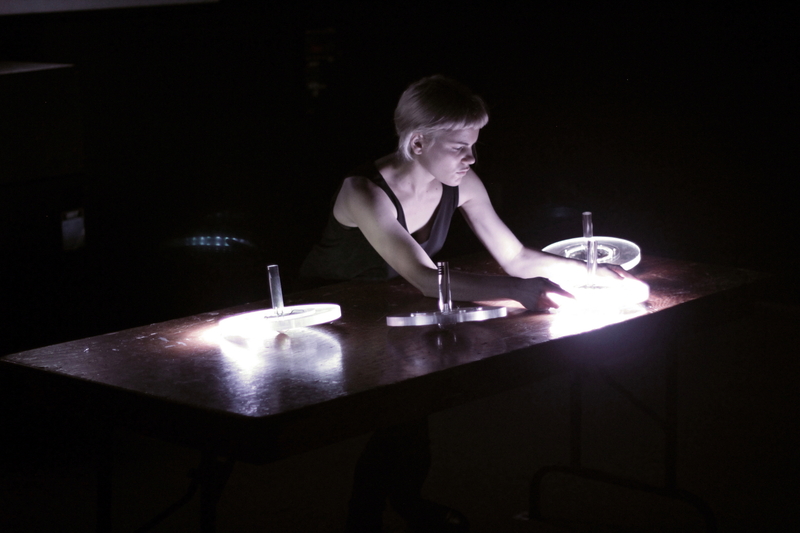 Canadian audiovisual performer and instrument inventor Myriam Bleau will present a new work based on luminescent interfaces set in pendular motion. Mariska de Groot will take part in the program together with the Optical Sound Orchestra, conducting six performers playing twelve 16mm film projectors. Ilya Ziblat Shay and Roi Nachshon will present new work for prepared double bass and electronics and Yann Leguay will perform his work Headcrash, which uses computer controlled hard drives as physical turntables to make radical minimal noise techno. Montreal native Myriam Bleau is a composer, multimedia artist and performer who creates mesmerizing audiovisual systems that transcend the screen. Taking the shape of sound installations and performance specific musical interfaces, her works explore the limits between musical performance and digital arts, and are infused with a hybrid practice that integrates hip hop, techno and the more experimental fringe of electronic composition. 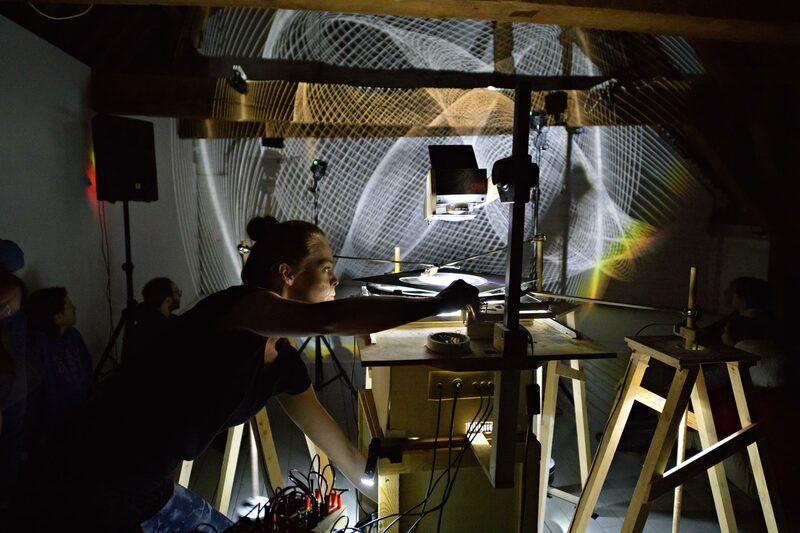 Intrigued by the phenomena and history of optical sound, Mariska de Groot (1982, NL) makes and performs comprehensive analog light-to-sound instruments and installations which explore this principle in new ways. Her work often has a reference to media inventions from the past, with which she aims to excite a multi-sensorial and phenomenological experiences in light, sound, movement and space. 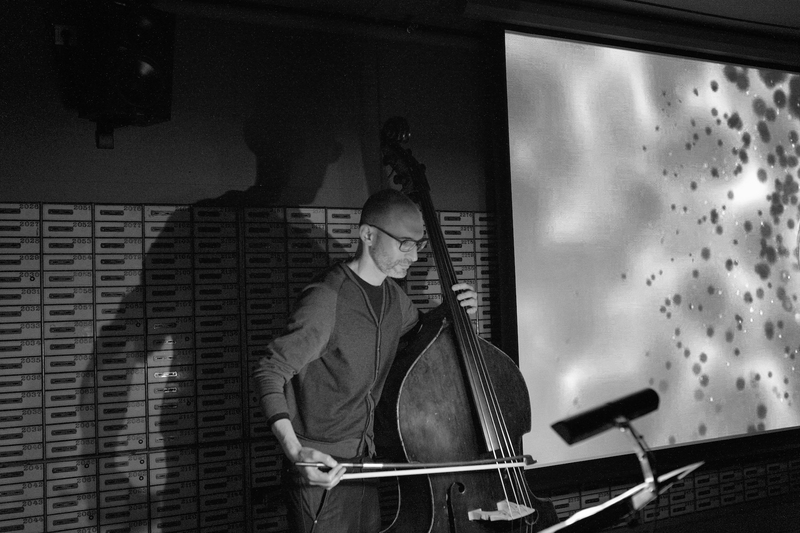 Ilya Ziblat Shay (1975) is a composer and performer (bass / electronics). His music relates both to composition and improvisation, usually featuring a combination of instruments and live electronics. He has composed for various musicians and ensembles, often being involved himself as part of the performance. Ilya has participated in a wide range of projects, collaborating with with dance, visual- and video art, and film. After studying composition and contrabass in Tel Aviv University, he continued to the Netherlands to study at the Royal Conservatory, the Hague. Currently working towards a PhD in artistic research (Leiden University), his research focuses on the idea of musical freedom, exploring ways in which it can be expressed- and triggered- by composed structures. Hague-based composer Roi Nachshon studied in Jerusalem music academy, as well as privately with Itzhak Sadai in Tel Aviv. He graduated from the Royal-Consevatiore in The Hague in 2006. His work has been commissioned and performed by musicians and ensembles including Ensemble MAE, DoelenKwartet, ensemble Klang, New European Ensemble, David Kweksilber Big Band, and ASKO|Schoenberg. Roi’s work has been featured on major stages and festivals such as the PROMS concert series in Muziekgebouw aan’t Ij, the Gaudeamus music festival, Nederlandse Muziekdagen, Doelen Rotterdam, Schouwburg rotterdam, Paradiso Amsterdam. Roi is also part of the music-theater creative duo SepiaZebra, which is concerned with the emergence of organic and systemic behaviours out of intuitive, arbitrary or even entirely external origins. No Patent Pending #32 is presented with the support of Stroom Den Haag, Gemeente Den Haag and the Creative Industries Fund NL in collaboration with DCR guest studios and Stichting WD4X. The participation of Yann Leguay is facilitated by Overtoon.